As part of his 'Haircuts 4 the Homeless' mission, Brennon Jones gave Braden Day a surprise styling in Center City on Thursday, January 19, 2017. ‘Haircuts 4 the Homeless’ finally has a home. 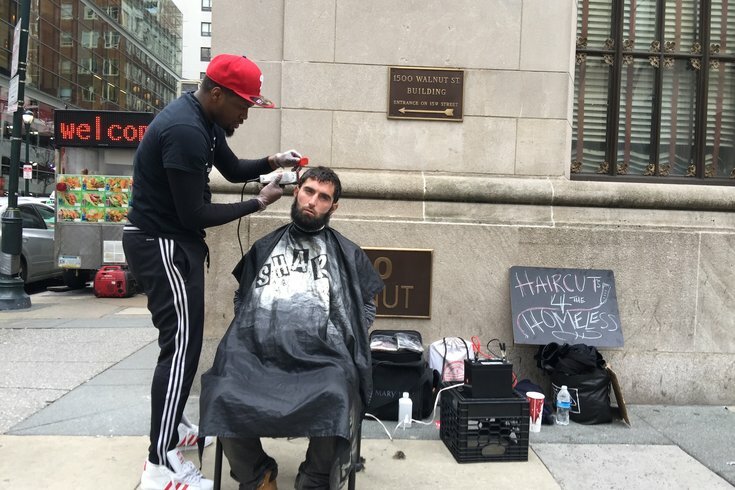 Back in January, Brennon Jones started attracting quite a bit of attention thanks to a mission that took him to the streets of Philadelphia to give free haircuts to those in need. It was the type of feel-good story that resulted in national-television appearances, a multi-city tour of kindness and a documentary. At the same time, many asked how they could help the 30-year-old barber keep his mission going. Enter a gentleman by the name of Sean Johnson who, upon seeing Jones giving haircuts back in April, asked whether the barber had any plans for the cold winter months. Johnson owns Taper's Barbershop on Old York Road in Olney. With business doing well, he purchased a storefront down the block and he and his fiancé Natalie Jones spent the past year renovating it. Initially, Johnson’s plan was to expand his business but “I always kept (Jones’ mission) in the back of my mind.” When he randomly saw Jones cutting hair several months later, plans changed. That something important was making Jones the boss of his very own barbershop at 5925 Old York Road. The grand opening of the faith-based salon that also features a massage room is slated for November 12. Brennon Jones will officially open his 'Haircuts 4 Homeless' barbershop on the 5900 block of Old York Road in Philadelphia in November 2017. 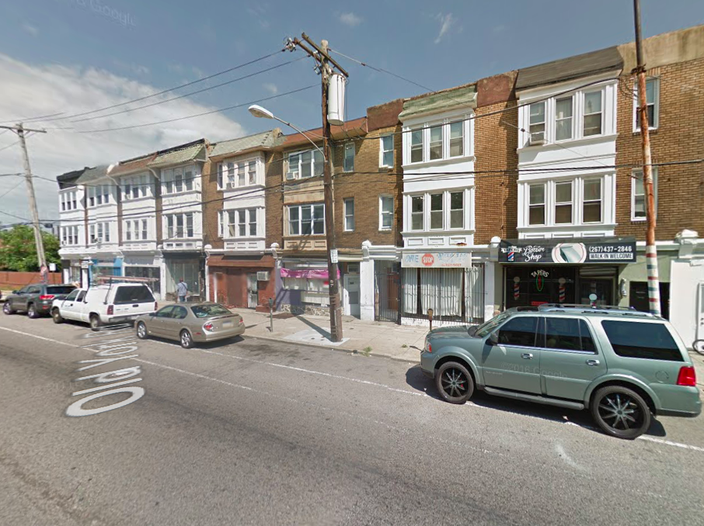 There, just walking distance from the Broad Street Line stop at Broad Street and Olney Avenue, Jones will set aside Mondays to provide haircuts and meals to the homeless. He also plans to have special days with discounts for college students and police officers, firefighters and other public-sector employees. There wasn’t. It was just a guy who was inspired to give back. "Having him up here and giving him this opportunity, it was just felt like an awesome idea," he said. "Getting your own business is hard enough, but in talking to him, I know he has his head on straight. It'll be really awesome to see his progress."